Misokatsu, a popular dish in Aichi, is Tonkatsu. Tonkatsu are fried pork cutlets, these are covered with a miso-based sauce for this variety. Misokatsu is one of my favorite dishes! 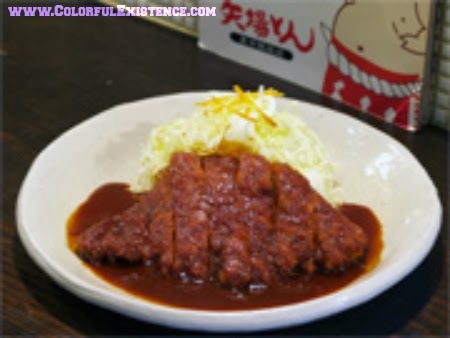 Throughout the country, a sauce similar to Worcester is normally used with fried pork cutlets, but in the Tokai region, which includes Nagoya, an original miso-based sauce is used instead. You may be asked, “Miso or sauce?” when you order fried pork cutlets at a restaurant there. The miso used in this region, is well-seasoned, hot haccho-miso, a specialty of Aichi. This miso sauce has been sweetened with bonito stock and sugar. Don’t forget to try Misokatsu when you visit the Nagoya area. In other areas, the difference you may find, is that Misokatsu is prepared with the miso between the batter and the meat rather then added to the pork cutlets, after cooking. Looking for conveniently located Luxury Hotels to Pamper yourself after a long tiring Flight? Or maybe, how about saving on Cheap Accommodation while splurging on countless Affordable yet Unbelievable Travel Deals instead? Look no further – HOTELS.COM!